July 11th in WordPress Themes by Wordpress Jedi . There are plenty of niche dating sites around these days. Have you found a niche not already targeted by others? There is no reason not to start your own dating community if you are passionate about this business. 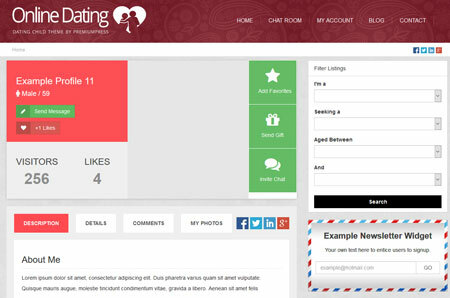 The Online Dating Theme is a premium theme that lets you create an online dating community. This theme has built-in chat rooms, private messaging, over 20 gateways, gifts, and a responsive design. Its admin area gives you control over what happens in your community. You can create custom registration and listing fields. 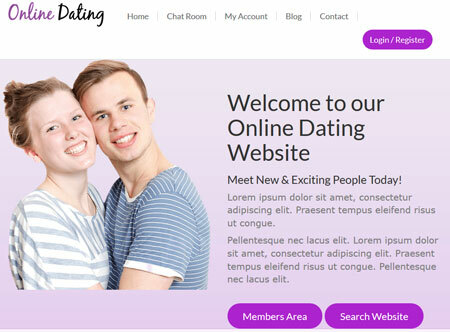 Online Dating supports free and paid registrations. Webmasters have the option to offer listing upgrades to paid members. The theme has a built-in like system and distance calculator. It also lets your members send gifts to others. This is a commercial theme by PremiumPress.